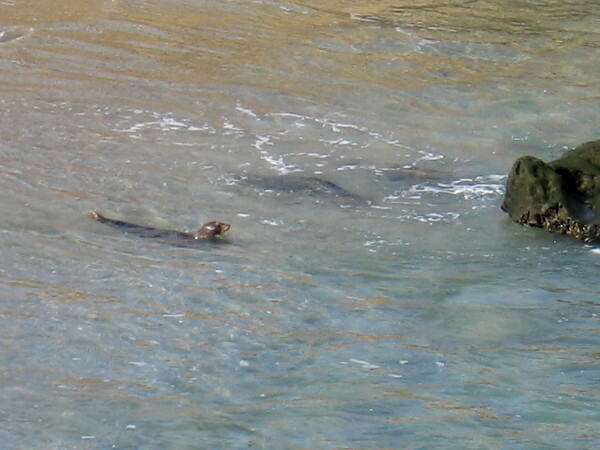 Photos of seals, scenery at Children’s Pool. – Cool San Diego Sights! 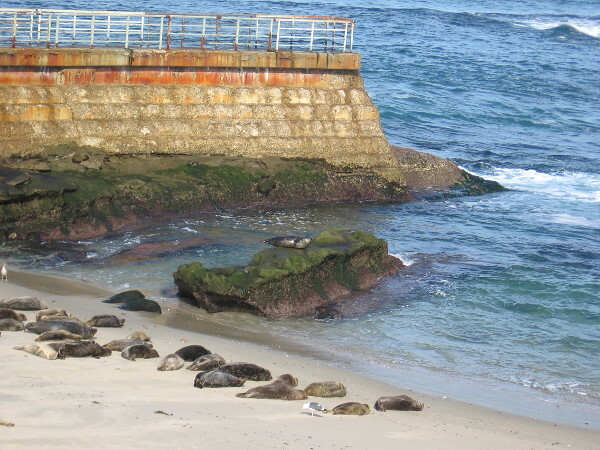 Photos of seals, scenery at Children’s Pool. 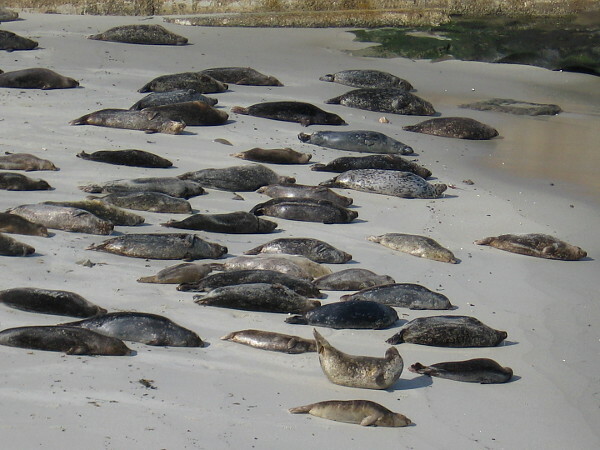 Harbor seals lie in the sun on Children’s Pool Beach. 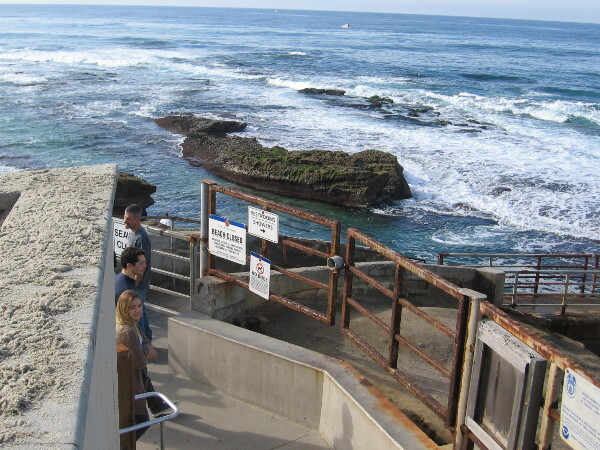 The Children’s Pool is closed to the public during pupping season. 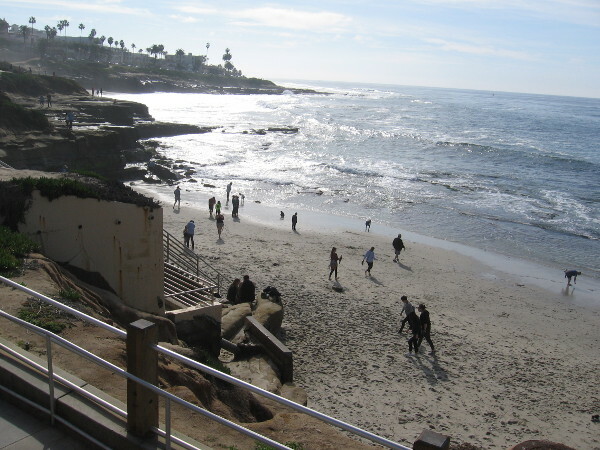 Every so often I have to walk by the water in La Jolla. It’s one of the most beautiful places in the world. Today I headed to The Children’s Pool to enjoy harbor seals, pelicans in flight, the mighty ocean, the rocky shoreline and blue sky. 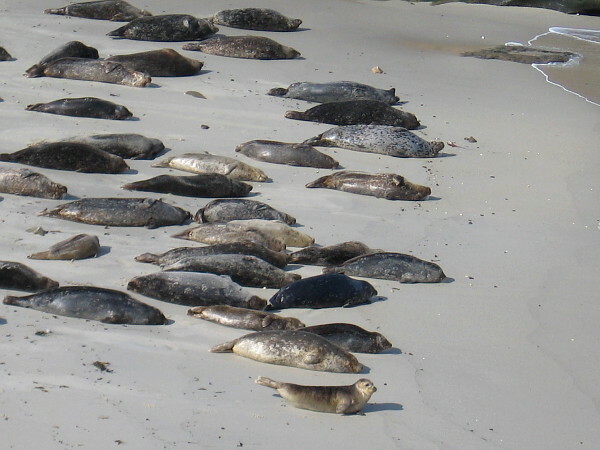 Pupping season has just begun (December 15 through May 15) and so Children’s Pool Beach is closed to the public. 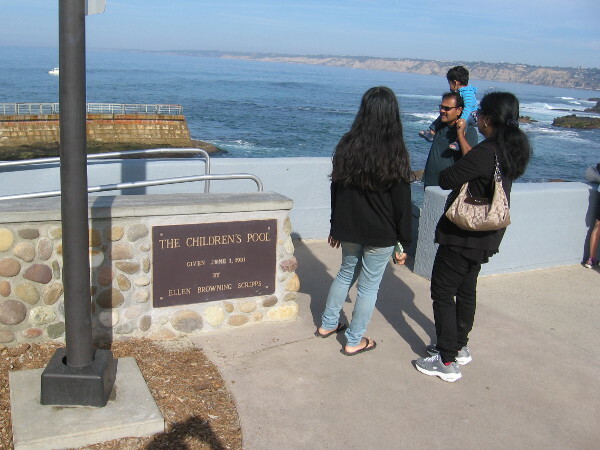 The Children’s Pool was the gift of local philanthropist Ellen Browning Scripps in 1931. 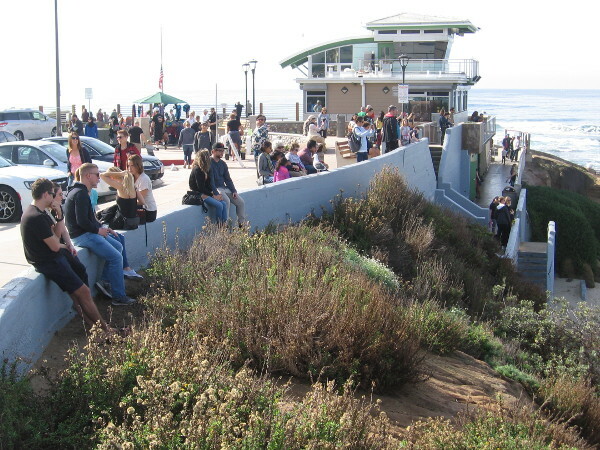 A concrete seawall was built to make the beach safe for public swimming. 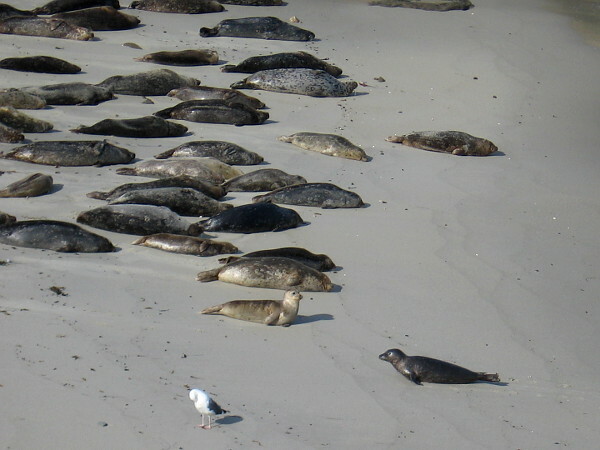 Harbor seals began to use the beach in the 1990’s and over time sand has filled the swimming area. There has been a long running legal battle over the use of the beach. The Children’s Pool also happens to be a popular destination of scuba divers because of nearby reefs. Today people flock from far and wide to watch the seals from a safe distance. 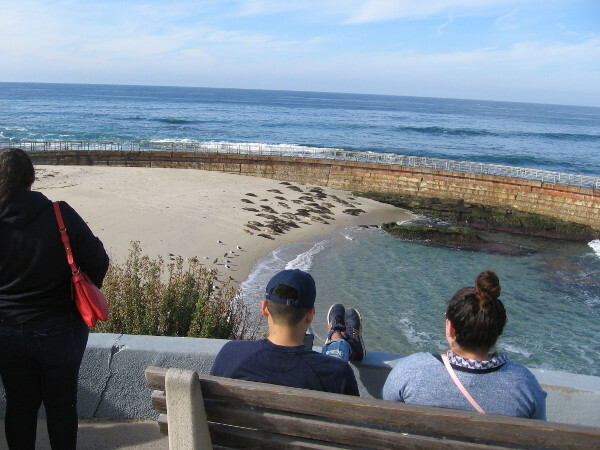 Sitting on a bench overlooking The Children’s Pool, observing the resident colony of harbor seals. People look toward Children’s Pool from the shady green gazebo. People along the wall near the lifeguard station. 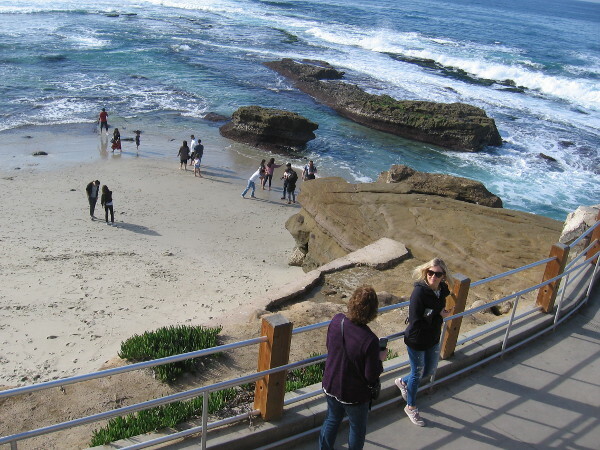 Many tourists now travel to La Jolla just to see the local colony of harbor seals. The Children’s Pool breakwater was built in 1931. 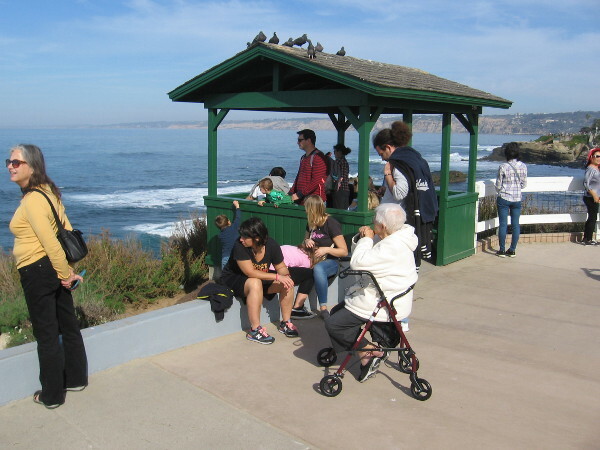 It was a gift to La Jolla by journalist and philanthropist Ellen Browning Scripps. 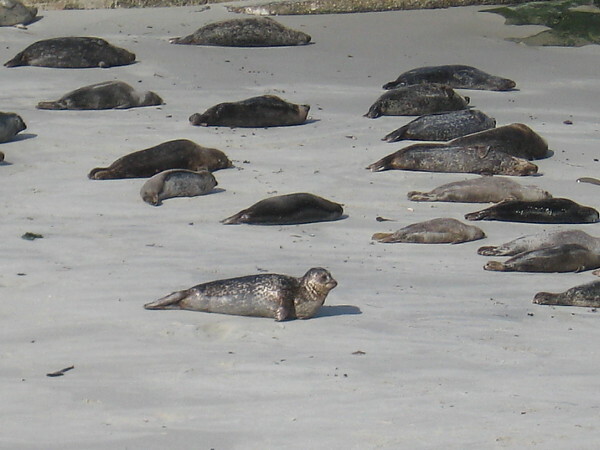 A colony of harbor seals suns on the sand near the seawall, which like the beach is off limits during pupping season. 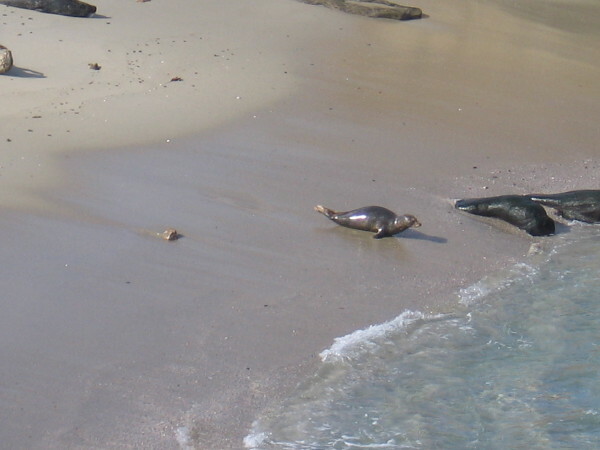 The seals move about from time to time. They turn on their sides, raise their heads and hind flippers, and inch forward on their stomachs. A lone harbor seal heads across the sand to the water’s edge by wriggling awkwardly on its belly. It swims out toward a nearby rock. The perfect place for a peaceful nap! Looking west from the closed Children’s Pool toward the broad Pacific Ocean and gently breaking waves. Pelicans fly north. Scripps Pier and the scenic cliffs just south of Torrey Pines lie in the distance. 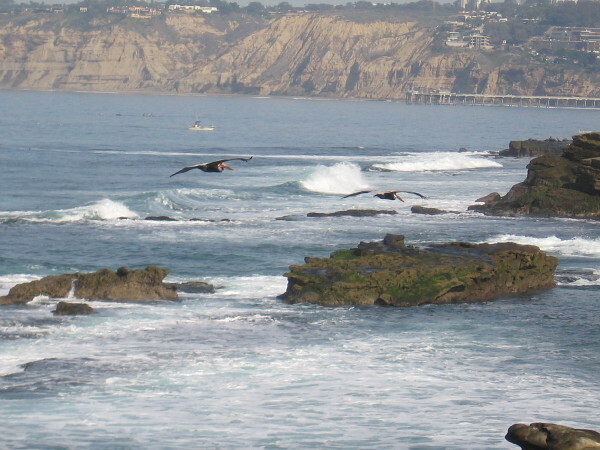 The pelicans fly toward Seal Rock and Shell Beach, and distant jutting rocks west of La Jolla Cove. Looking west. Perhaps you can see why I love this place. Looking south toward Wipeout Beach. 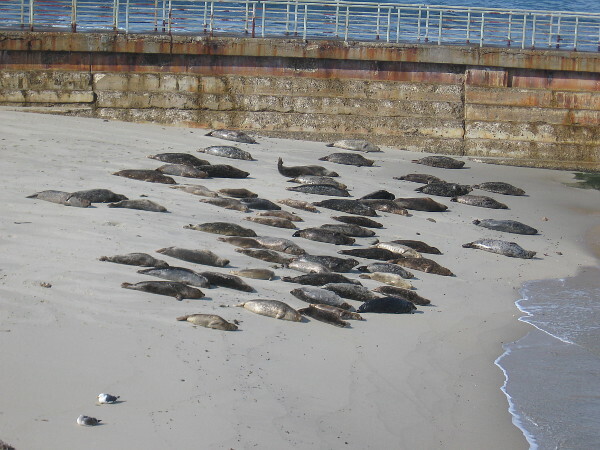 Another photo of the colony of harbor seals at The Children’s Pool in La Jolla. 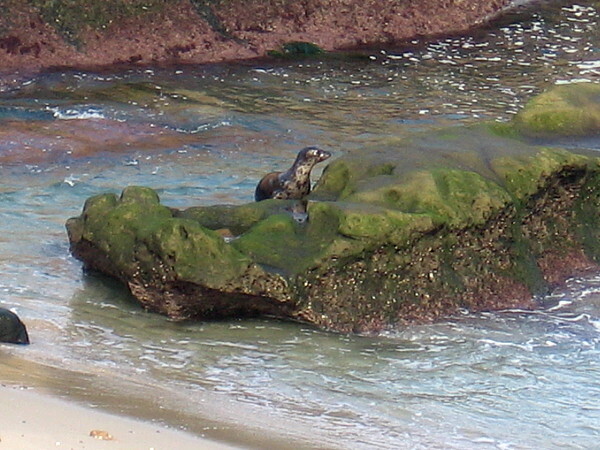 A young harbor seal enjoys a fine day on the beach. 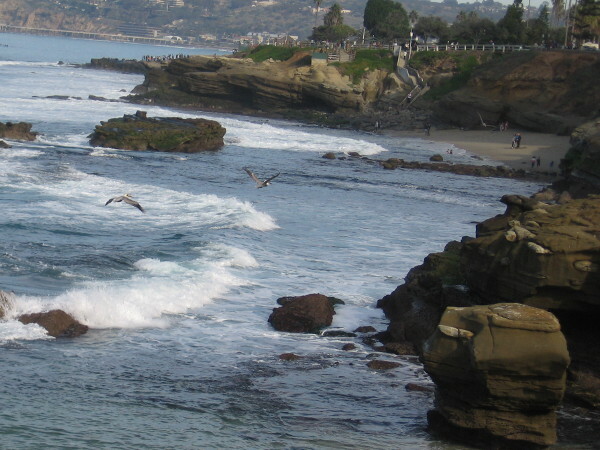 This blog now features thousands of photos around San Diego! Are you curious? There’s lots of fun stuff to check out! They seem like two completely different creatures! Previous Previous post: How do you share you care? Next Next post: La Jolla Library and the Voyage of Discovery.